A neuron is a cell in the body with the purpose of relaying messages from the brain throughout the body, and then back up to the brain. The cells have a cell body where the message starts, and then travels down the long skinny arms of the cell called the axon. The signals are in the form of an electric current as it travels from one neuron to the other. When it gets to its destination the message releases a combination of chemicals that tell the muscles, or other body part what to do. 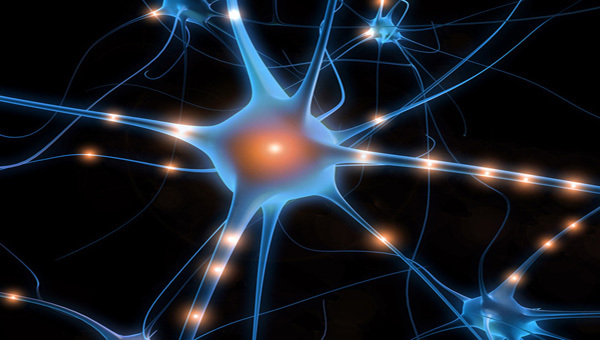 Neurons also relay messages from every part of the body back up to the brain in the same manner. You only feel pain, heat, cold, etc, because neurons are constantly sending messages up to the brain about everything that is taking place in the body. Your brain then chemically decides feelings and emotions.